Bridgestone is the largest manufacturer of tires in the entire world. They have worked with some of the largest and best ad agencies in the world to implement successful marketing campaigns and continue to grow their business. Bridgestone was referred to Web Ascender by another major company in the automotive industry, and our relationship has continued to grow ever since. It’s a typical path for Web Ascender; we build something great for one department in a company, then we’re quickly referred to other departments and partners to solve problems and implement solutions. Imagine you’re a marketing director with over 200 people in your sales team. You’re trying to figure out a great way to ensure team members know the ins and outs of your current products and upcoming products. You have to get new marketing materials to these individuals quickly and they might be halfway around the world. Plus, you can’t have them roll into a sales meeting carrying a dozen tires under their arm to talk to dealers and customers. How did we solve this problem? 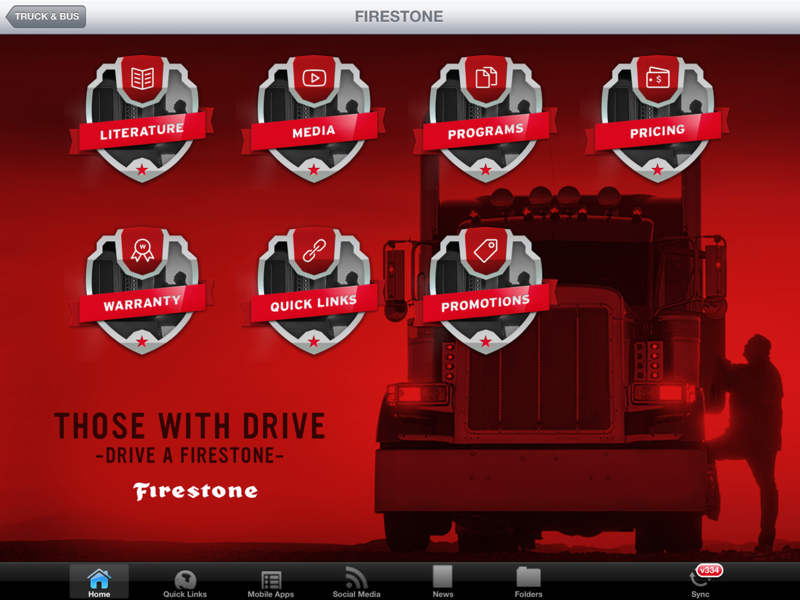 We created a tool that allows Bridgestone to manage all of their marketing materials in an easy to use web interface that synchronizes wirelessly with a custom iPad application used by their entire sales team. 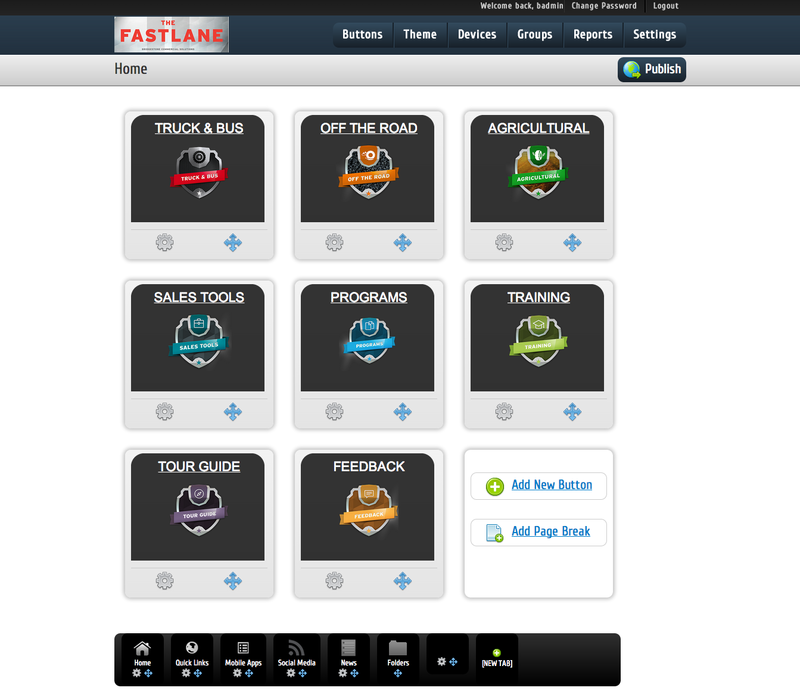 This platform ensures their entire marketing team has what they need, when they need it. They can directly engage with their customers and walk through PDFs, presentations, videos, brochures, warranty information and more to explain product differences and help customers make good decisions. This is the kind of application we love to create. It was a ton of hard work but the overall ROI to Bridgestone is really priceless. When most people think of Bridgestone, they think of the tires on their car or SUV in the garage. However, Bridgestone also makes huge tires for agriculture and mining equipment. A lot of these operations are running around the clock at high intensity and Bridgestone representatives will visit mining and other locations regularly to inspect tire wear and keep track of tire rotation and replacement schedules. The problem was team members would go out into the field, use pads of paper to jot down notes on tires during the day, then have to drive back to an office or hotel room and then spend a few more hours logging into Bridgestone’s computer system and enter all the data. As you can imagine, this process was error-prone and also took a lot of extra time for the team to do. 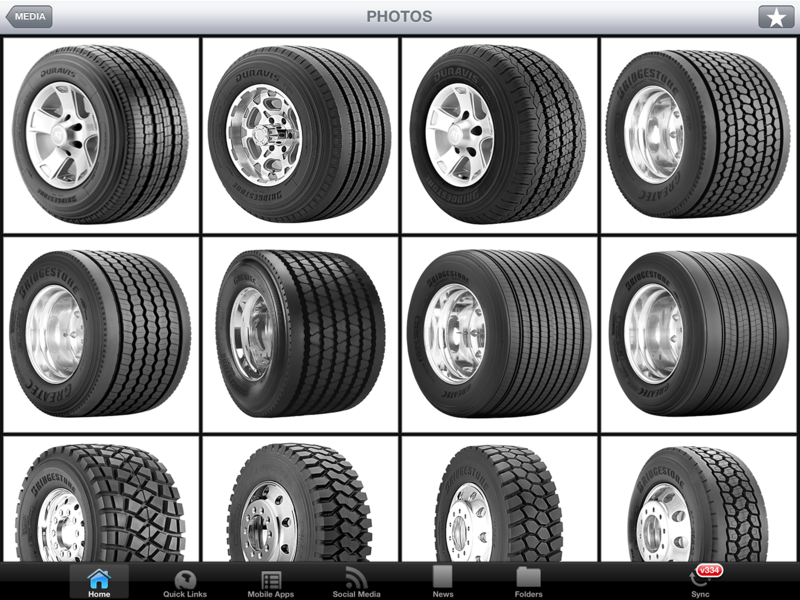 The solution was to create an iPhone, iPad and Android application that is integrated with back-end Bridgestone systems. 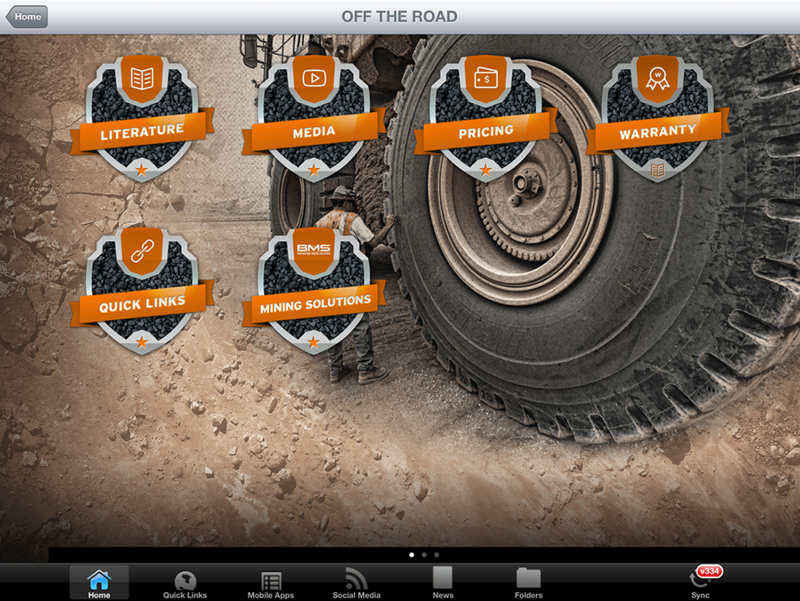 Inspections can now be accomplished using the mobile application to track very specific data points on each machine and tire, even without an internet connection. Once they leave the remote location and have a cellular or wifi connection the application will synchronize with the central Bridgestone system and voila, nothing else to do but rest and relax after the work day. 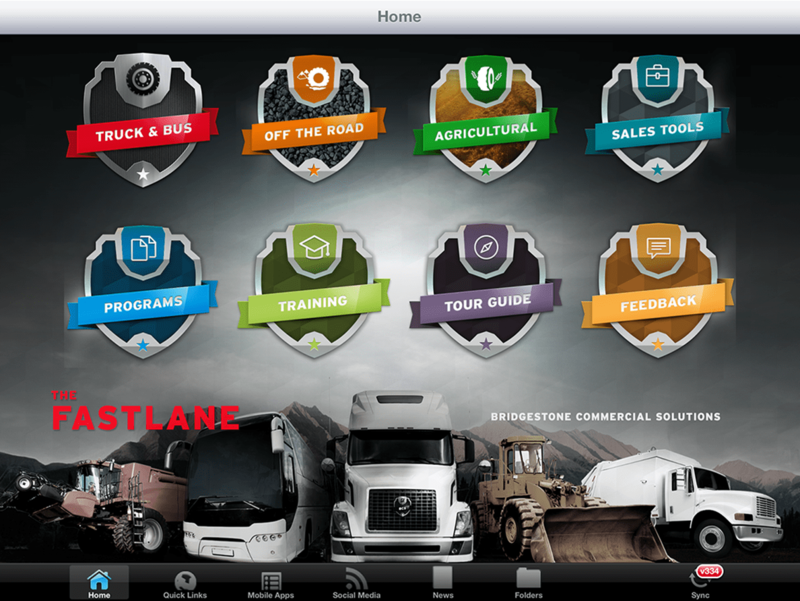 We love this application because it not only solves a business need, but it has made a direct impact on the lives of many people within Bridgestone. No more late nights entering data from a hotel room! Bridgestone is made up of many different departments and divisions that focus on marketing and selling specific tires to specific industries. 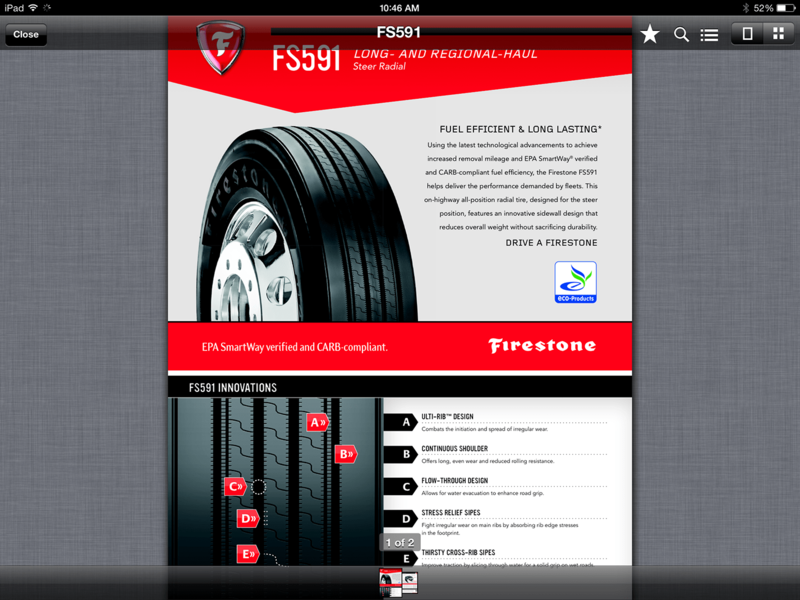 Our first application with Bridgestone was such a success that news quickly spread to other departments. We continue to work with multiple teams within the business to create, support and maintain different mobile marketing solutions. What does Bridgestone Have to Say? “You and your team have been amazing partners on this project. The salesforce was absolutely thrilled with it and my inbox is literally clogged with their excitement and feedback.